Screenshots should not be uploaded without considering whether they are suitably cropped. Some screenshots floating around the net are also too heavily cropped (typically games > 200 pixels height). The screenshots should be cropped to remove borders. Screenshots should be suitable to show in variety of settings, including with and without GUI border / drop shadow around them. A game can have multiple screenshots. The screenshots should strive to show the variety in the game. There is no point in having 5 almost identical screenshots (unless the game has little variation). The first screenshot is the most important one. Try to best represent the game in with this screenshot. Screenshot number two could very well show another aspect of the game (if any), or another level. The screenshots should be suitably cropped (see the next section). The screenshots must not be scaled, resized, or used with scanlines, pixel-enhancing filters, or similar. The screenshots can be either low-res, or high-res/double-scanned pictures. For example: Lotus 2 screenshots (which use 320×200 graphics) can be either 320×200 or 640×400. But games with high-res graphics must of course have high-res screenshots (Example: Dark Seed). Don’t use color-enhancing effects or apply effects in image editors. Not all games will have “standard” resolutions like 320×200. This is OK. Not all screenshots for the same game need to have the same dimensions. For example, games may use different resolution for action scenes and menu screens. This is OK.
Don’t try to crop an image to 640×400 (or another “standard resolution”) just for the sake of it. If the game is 642×402, then go with that, but see the following image examples in the next section. The images must not contain watermarks. Try to avoid having the mouse pointer obscure the graphics. For example move the mouse pointer to the lower right of the screen to make it as invisible as possible. When the game is available in English, screenshots and covers must be from the English version (the text, if any, must be in English when possible). Jim Power screenshots must be 640×520 (320×260). Rick Dangerous in-game screenshots must be 512×400 (or 256×200). The images must not be compressed with lossy compression (Don’t use JPEG). PNG format is recommended, but GIF is acceptable provided it can store all colors without loss of data. You should have a look on the Hall Of Light for the specific game if you got the correct title screen. Of course there are cases where it’s not obvious which screen should be used, but please consider these guidelines. Always use the IPF or WHDLoad version to get the title screen. If there is no such version for a game, please try all available ADF variants. Confirm your choice on the Hall Of Light. 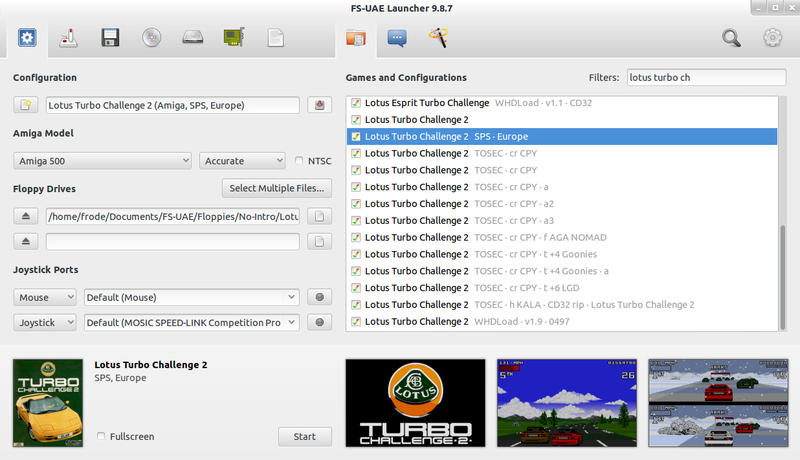 Screenshots can be easily created with FS-UAE or other Amiga emulators. FS-UAE will save both cropped and un-cropped versions. In many cases, the cropped images can be used as-is, but crop the uncropped screenshot manually if the automatic crop procedure does not crop the image correctly (see the above section about cropping). I believe screenshots and cover images can be sourced from other websites as well, at least individually. As far as I know, these sites can not claim copyright on the images itself (Though a site may possibly claim some ownership on the collection as as whole). If anyone can claim copyright on individual screenshots and box art, it is the copyright owner of the game (game publisher, probably). Using images for illustrative purposes should be within the realm of fair use. But if you can take new screenshots, that’s generally the best. Lemon Amiga – Contains screenshots without watermarks. A few screenshots may be overcropped (games where the game resolution is > 320×256). MobyGames – Contains watermarks covers, but many screenshots are without watermarks. Some screenshots may be overcropped.